The Boston Bruins offseason has been anything but ordinary. Entering the summer, they had limited cap space to make improvements on a roster that failed to punch a postseason ticket for the first time since 2007. Don Sweeney comes in as general manager, inheriting the bad contracts and such that Peter Chiarelli left in his wake after being canned. Dougie Hamilton, Boston’s franchise defenseman, needed a new contract. Instead, the 21-year old is now in Calgary on a dangerous Flames squad. Milan Lucic packed his bags for the City of Angels. Reilly Smith and Marc Savard’s contract are now in South Florida. Matt Beleskey and Jimmy Hayes came in while Adam McQuaid re-signed for four more years totalling $11 million. What does it all mean? Well, the Bruins have around $4.7 million in cap space for this upcoming season barring any other transactions. It sounds good on paper but could lead to a serious problem next summer. Boston has a total of 23 free agents (9 unrestricted, 14 restricted) that will have their turn at the negotiating table. There are some big names on that list. Since it’s (mostly) always a good idea to look towards the future, there may be no better time than now to ponder the decisions Sweeney and the front office have on their plate next summer. The biggest name in Boston’s UFA pool is 30-year old Loui Eriksson. Yet another person refers to Loui Eriksson as "not a Bruins type player," weeeeeeeeeeeeeeeeeeeeee!!!!!!! The 2014-15 campaign for the former Dallas Star turned into his personal road to redemption after two separate concussions limited him to 10 goals in 61 games the season prior. Eriksson’s 22 goals last year were third-best on the Bruins and could well earn him a spot alongside either David Krejci or Patrice Bergeron this season. The versatile winger should be rewarded after being one of Boston’s best forwards last year. This is the final year of his current contract with an annual cap hit of $4.25 million. Eriksson’s performance this season will decide which way Sweeney will lean towards in the summertime, provided he hasn’t already been signed or traded by that point. Chris Kelly and Max Talbot are also UFAs at season’s end and are locks to hit the open market. The 35-year old Kelly clears $3 million of cap space off the books and, with younger players waiting in the wings, will have to find employment elsewhere. 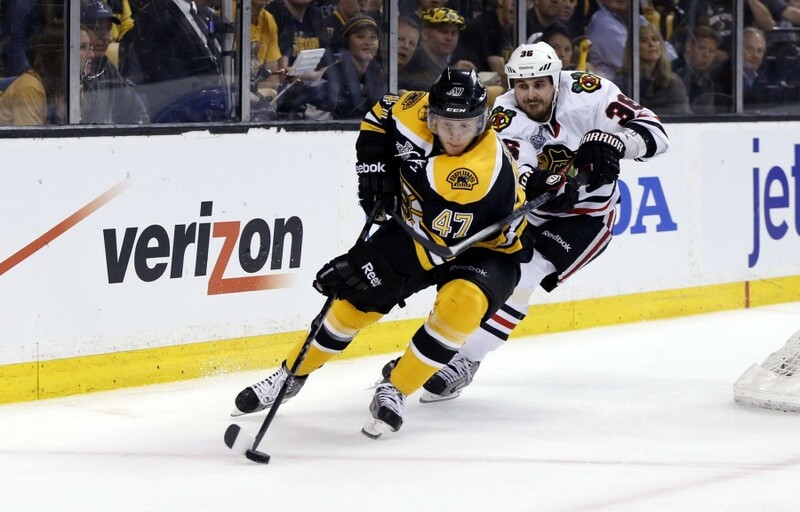 Kevan Miller and Matt Irwin are other notable unrestricted free agents at season’s end. Given Boston’s situation on the blue line which I’ll explain shortly, at least one of them should return. The potential problem facing the Bruins next summer is with their restricted free agent class. Two of their RFAs project to be major players on the blue line this season. Torey Krug and Zach Trotman will see increased ice time in contract years which could net them both some serious green. The 24 year-old Krug is coming off a great season scoring 12 goals and 39 points in 78 games with just third-pairing minutes and power play time. This season, he may find himself in Boston’s top-four given the $3.4 million, one-year contract he inked during last year. Krug has a lot on the line and must prove he isn’t just a one-trick pony and can play well in all situations, especially shorthanded. As for Trotman, he has already made headlines by just reaching the NHL after being the last draft pick in 2010. “Mr. Irrelevant” is now projected to start the season alongside captain Zdeno Chara, his playing partner when Hamilton went down with an injury late last season. The duo projects to be the Bruins top D pair but questions remain as to how Trotman will handle an extended work load and ice time. If he can handle it well, the 25-year old is in line for a pay raise next summer. Brett Connolly is another restricted free agent that bears watching. After all, trading two second-round picks for the former Tampa Bay Lightning forward looks bad enough on the Bruins. Connolly is on a “show-me” kind of contract to prove the assets Boston traded away for him were (somewhat) justified. Other notable RFAs next summer include Joe Morrow, Colin Miller, Seth Griffith, and top prospect Alexander Khoklachev. 10 of Boston’s 14 RFAs are mostly based in Providence of the AHL. So, what will happen? Boston projects to have around $10-12 million in cap space to conduct their 2016 offseason business. How will they spend it? The defense corps will be priority number one. Youth on the blue line is of paramount importance. Krug (24), Trotman (25), Colin Miller (22) and Morrow (22) will spend some time in Boston this season in one form or another. All of them are due for new contracts and have something to play for this season. Sweeney will have to retain the services of at least two (probably three) of them to maintain the depth required at the League level. Most of the Bruins’ forwards are under contract after this season but Eriksson remains the big question mark up front. Nevertheless, questions will come about after what hopes to be an exciting 2015-16 campaign on Causeway Street. How will things play out next summer? It’s anyone’s guess.